The Development Academy of the Philippines selected five government agencies for their “exceptional and innovative” practices during the Government Best Practice Recognition (GBPR) deliberations held in line with the DAP’s Government Quality Management Program (GQMP), a program that aims to enhance citizen satisfaction through quality improvement in the delivery of public services among government agencies through the recognition of outstanding, successful and innovative practices of public sector organizations. The five selected agencies, which were among the top 11 qualified government agencies who presented their respective best practices to a panel of judges, were picked during presentations held last December at the Richmonde Hotel in Ortigas Center in Pasig City and will be duly recognized in 2019, are the Intellectual Property Office of the Philippines (IPO-Ph), Philippine Health Insurance Corporation-Palawan Local Health Insurance Office (PhilHealth-Palawan), Philippine Ports Authority-Port Management Office (PPA-PMO) of Misamis Oriental/Cagayan De Oro, Philippine Science High School-Central Luzon Campus (PSHS-CLC), and the Provincial Government of South Cotabato. 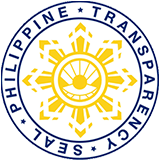 The Intellectual Property Office of the Philippines’ (IPO-Ph) Early Issuance of Search Report (ESR) effectively automated the process of patent application in the agency, reducing its duration from 18 months to 12 months. Director of IPO-Ph’s Bureau of Patents Atty. Lolibeth Medrano explained that this has allowed Filipino scientists to not only apply for patents locally but also internationally. The “P6.60 Hulog Kada Araw Para sa Kalusugan ng Pamilya” of PhilHealth-Palawan, meanwhile, aimed to reach out to Palaweños by training and empowering local tricycle operators and drivers associations (TODA) to establish a network that allows members to pay P200 a month or P6.60 per day as their contribution to PhilHealth, enabling them to afford and avail themselves of much-needed coverage from the agency. PhilHealth’s Chief Social Insurance Officer Wilfred Hernandez guarantees that through this program, the tricycle drivers would be able to avail themselves of much-needed insurance coverage from the agency after those in the informal sector had been often left out in programs like PhilHealth coverage. The Philippine Ports Authority-Port Management Office (PPA-PMO) of Misamis Oriental, Cagayan De Oro spearheaded the initiative “Fostering a Green Culture for Port Operations and Management” as an advocacy to protect the environment along the ports of Misamis Oriental and Cagayan De Oro. Through this program, the PPA set up crucial quality management certifications, including Port Safety as well as Health and Environmental Management System covering three standards: ISO 9001:2008 (Quality Management), ISO 14001:2004 (Environmental Management) and Occupational Safety and Health (OHSAS) 18001:2007. Port Manager Engr. 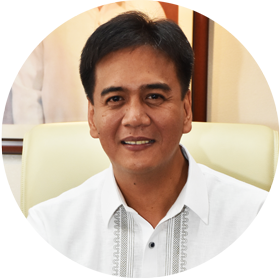 Isidro Butaslac Jr. said that the initiative has resulted in the modernization of the ports in order to reduce carbon emission. He said that the tangible changes in the infrastructure of the ports combined with the reputation of being “green” have attracted clients to the port and increased the revenue of the agency. On the other hand, “Kina[book]asan ng Kanaynayan,” a program initiated by Kalasaglahi, a United Nations Educational, Scientific and Cultural Organization (UNESCO)-accredited student organization of the Philippine Science High School-Central Luzon Campus (PSHS-CLC), zeroed in on the school children of Kanaynayan, an Aeta community in Zambales. The PSHS-CLC students fostered interest in science and math among indigenous children through various educational activities. Alumni, funders, and stakeholders were also mobilized to help renovate the school and build a library for the indigenous students. The GBPR panel of judges praised the students’ efforts to support and empower the indigenous community, describing the program as “something out of the box” and stressing the importance of encouraging young people to follow the same pursuit. 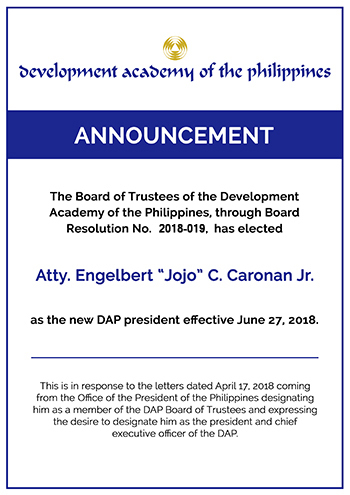 The Provincial Government of South Cotabato, on the other hand, was selected for its program “Championing the Culture of Integrity: Institutionalization of the South Cotabato Integrity Circle,” which created a province-wide system that evaluates the integrity of all provincial government offices. Parameters for measuring integrity were set up while important reforms in government services were installed, including the hiring of capacitated employees, making the bidding process transparent, implementing an online document tracking system, and establishing an internal evaluating unit that assesses the targets, results, and impact of the efforts of government offices. The sustainability of the South Cotabato program was ensured through the creation of vital provincial ordinances that support the reforms created under the initiative. South Cotabato Governor Daisy Avance Fuentes explained that the program raises the expectations of civil and business sectors for good governance and public service. By cultivating integrity in all facets of the provincial government, the program’s proponents believe the people of South Cotabato would learn to expect and demand better public services.